We build high quality architect designed, energy efficient homes to suit your budget and work with you from the initial design idea to completion of your home. This enables us to make sure your budget is respected, whether working with one of our designers or one you have selected. Our highest priorities are build quality, excellent communication and delivering on budget and on time. We use the latest cloud based technologies to run our projects. All the information it shared with you and a weekly report on the progress of your job is provided to you. If you want an outstanding building experience and value owning a well built, high quality home, then contact us today for a free site visit and budget discussion. Design and build with the rising stars in luxury custom homes. From concept to construction, we're with you every step of the way. Browse our gallery of stunning designer homes and imagine the possibilities. Ranieri Building Services is a fully licenced and insured Residential and Commercial Builder Specialising in Custom Built Homes, Home and Office alterations, Extensions and Bathroom renovations, new commercial building - servicing the Adelaide metropolitan area. Ranieri Building Services is the trading name of B & H Solutions Pty Ltd which is a proud South Australian company established in 2005. Undertaking a limited number of projects at any one time to ensure Julian’s maximum attention is available for each and every project. This ensures complete customer satisfaction and a high quality of workmanship. A testament to this is that ‘word of mouth’ keeps this company going. Julian Ranieri – Managing/Director has over 20 years building experience as a General Builder and Building Supervisor including completing tertiary education to fine tune his skills and knowledge. All of Julian’s contractors, previous and existing customers have a high regard of his high work ethics and attention to detail. There is no job too small or too large; he will take on jobs from changing a door handle in an office building to building a clients dream home. As a member of HIA since 2000 they are in touch with industry updates and have technique support at their finger tips We invite you to browse through this website to view the services we offer and photographs of some of the work we completed to date. 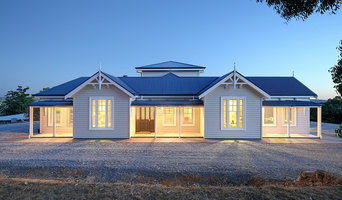 BRINCO HOMES has built, extended and renovated many homes in South Australia. Jim Brinias, the owner, has over 25 years experience in the building industry and he is an associate member of the Housing Industry. From the time Jim graduated as a civil engineer, his goal was to create a successful building company. Jim's main focus was not only to build a quality home but to build positive and trustworthy relationships with his clients and their families. To achieve his goal successfully, Jim became the builder and the supervisor which means BRINCO HOMES only build a limited number of homes or commercial projects per year. Jim understands that your home is an expression of yourself and it is important for Jim that the home he builds is worthy of that responsibility. Specialising in renovations and additions, including kitchens and bathrooms. We love to construct detailed and special rooms to make your house truly unique. Whether it be polished concrete, timber cladding, stone features - we are up for the challenge! We have experience at a large range of carpentry and building techniques to minimise the need for multiple subcontractors and are quite capable to handle your next project from design through to fitout. We have over 10 years experience in the trade and service Adelaide, Adelaide Hills, Mount Barker and Murray Bridge areas. Our passion is to build unique new homes that showcase outstanding home design and superior craftsmanship. We produce a range of family homes with stylish finishes and clever designs. We are proud to have been an Adelaide new home builder for over 30 years, and have a proud history of creating beautiful family homes around South Australia. We are thrilled to have recently expanded into Victoria, bringing our award winning designs to the Melbourne building community. If you’re looking for a trusted, high quality and experienced new home builder, contact us today to begin building your new dream home. The APS Homes division provides individual custom built homes, innovative homes for sloping sites and architecturally designed renovations. 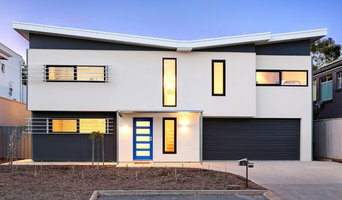 APS Homes has access to a team of highly experienced architects and building designers. A team member is hand-picked for each project, matching the skills of the individual with the unique needs of the client and their home. Similarly, APS uses only the best tradespeople – those who take great pride in their work and who treat every client’s home as if it were their own. 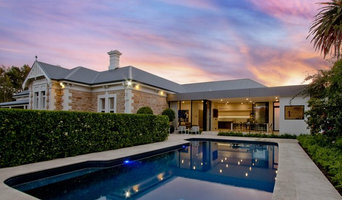 Levalex has been transforming homes and lifestyles in Adelaide since 1997. Specializing in building construction, renovations, home extensions, additions and alterations, our builders are the most reliable in North East Adelaide. We pride ourselves on working to the highest standards with meticulous attention to detail. Each step is carefully considered and discussed with our clients to bring out the best in a project. Professional Domestic Builder. Unlimited Licence, Full Insurance. Personalised Service. Building new homes, renovation, extension, pre-buying home inspection, shop fit out, office fit out. At Aaron Martin Construction, we think the journey to your new home or renovation is just as important as the end result. That’s why, from concept, to design and final build, we make you part of the process. We are passionate about building and committed to achieving your dream outcome. We want your build to be memorable... for all the right reasons.